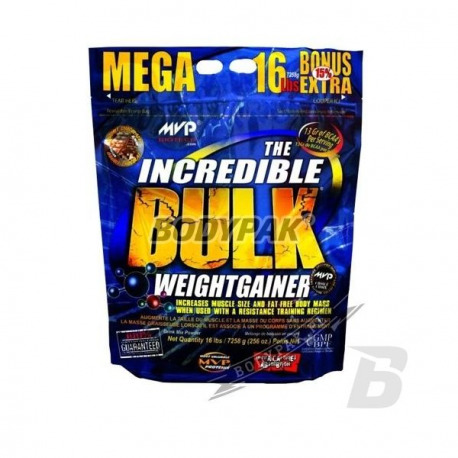 Incredible BULK® is a total innovation of supplements containing formulas to support weight gain. 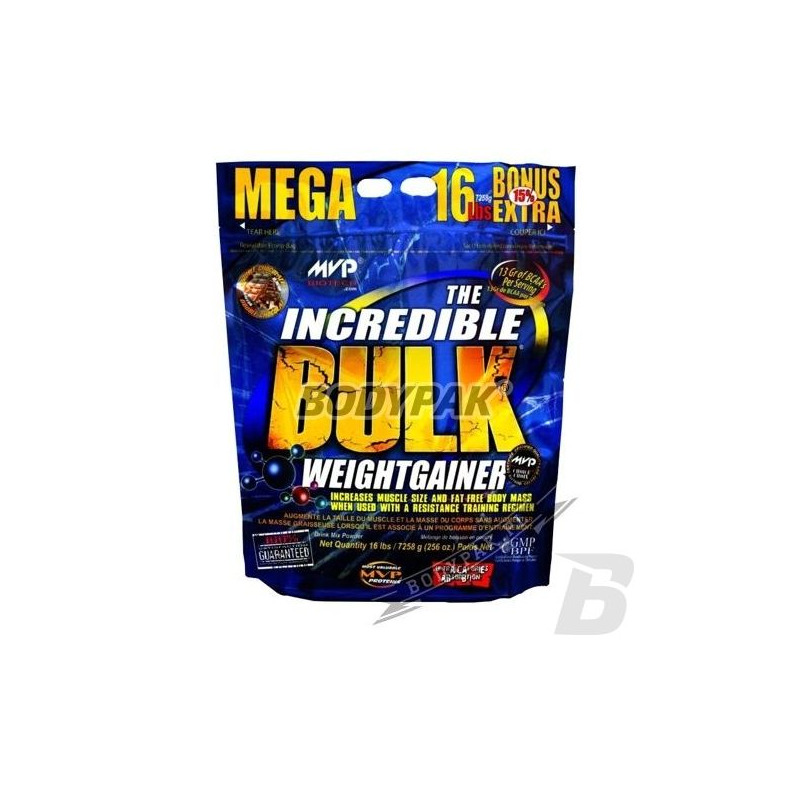 Incredible BULK® is a total innovation of supplements containing formulas to support weight gain. This rich in calories, proteins and amino acids charged cocktail was created using VitaGrow (a carbohydrate matrix), the best sources of carbohydrates, Multi Stage Protein Release Matrix (multi-release proteins) to assist retention of nitrogen, rapid absorption and storage capacity. The product is enriched with Lipolytic Fat Matrix & OMEGA Matrix - a blend far the most necessary and functional fatty acids (EFA). It is strongly acting blend was developed to create an extremely effective gainer causing unusual weight gain. Scientific research confirms that the Incredible BULK® ideal for people who have trouble gaining weight (ektomorfików). Information from B + R: We asked the Research and Development department of the analysis of the characteristics of ektomorfików and the types of silhouettes and discovered a special technology that enables extremely efficient absorption of calories! The effectiveness of this experimental technology for this has been confirmed. Incredible BULK® this product to help put on weight, designed to maximally stimulate muscle growth while minimizing the accumulation of fat. Perfectly matches the unique metabolism ektomorfików. This is probably the best on the market gainer for those with limited weight gain.